This healthy snack for your pets gets them wanting to come back for more every time. 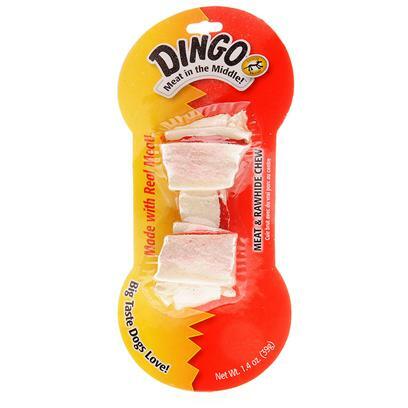 The Dingo Bone is a great source of protein and is low fat too! It's great for puppies who are teething. Rated 5 out of 5 by 133 reviewers. Dingo Twist , Chicken in the middle !!! DO YOU WANT A DINGO BONE!?!?! Great bone...but my dog ate it too fast! Finially a chew my dog loves! They Won't Eat Anything Else!!! All 3 dogs agree on it!!!!!!!!!!!! Cody goes CRAZY for these! Long enough lasting to get house clean! Our dog needs a job!